This year, don’t limit yourself to high-fat recipes like hot dogs, burgers and steaks during your outdoor cookouts. Impress your family and friends with healthy, tasty and oh-so-simple grilled fish recipes instead. We made it super-simple for you too. From salmon to halibut, follow this guide for guaranteed success. 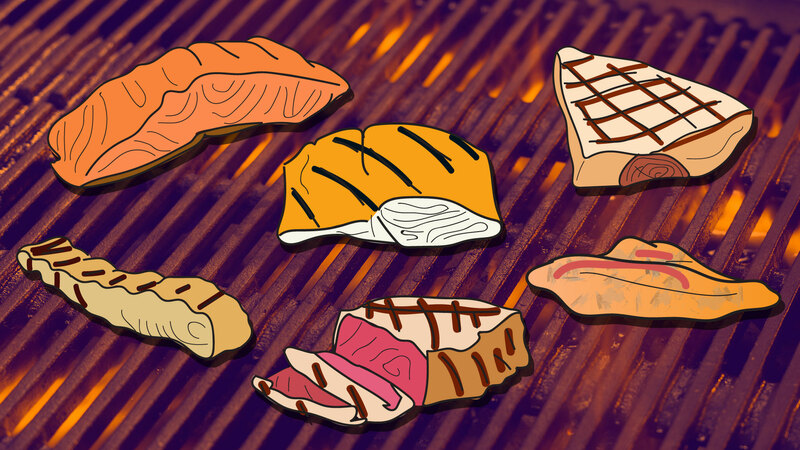 We’ve included everything from how long you should cook each type of fish to what to season them with and included a few handy tips throughout. What are you waiting for you? Print or pin the following infographic, and let’s get to grilling.